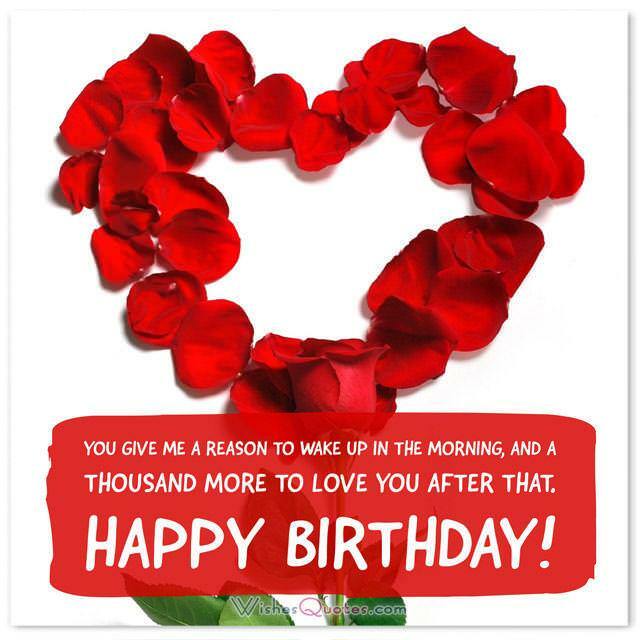 For those who are in love here is the best collection of birthday love messages that you can use. Birthdays are more precious in many ways than other holidays because the day is a day to celebrate a loved one’s life. This is an opportunity to show the birthday celebrant how much you care. When that person happens to be your wife, husband, girlfriend, boyfriend, lover or fiancée the occasion is even more special. The words you choose to offer your partner on this day will go straight to the heart. This means you should choose them carefully, but doing so isn’t always an easy feat. Love and other deep emotions are sometimes difficult to put into words. To help you with this, here are samples of romantic messages. You can use any of these as they are, or customized, to express those deep feelings for your beloved. Your birthday is a good excuse to tell you how beautiful I think you are. 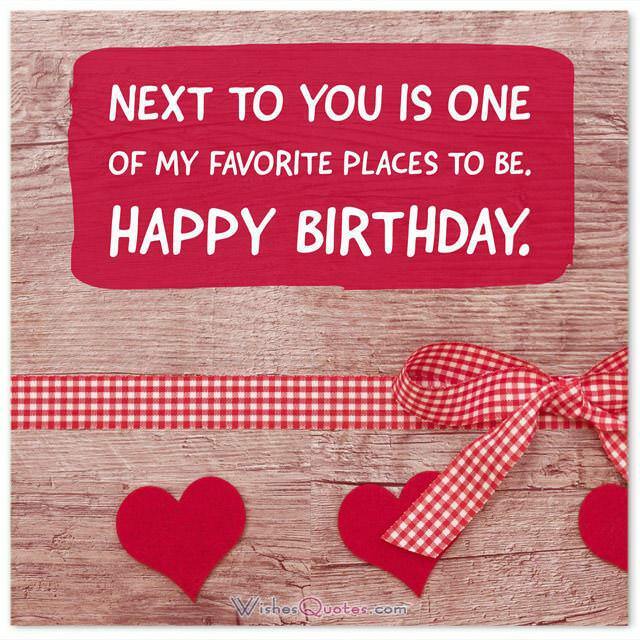 I hope I can show you how I feel for many birthdays in the future! Someone so caring and wonderful deserves more than just one birthday wish. I hope I can make some of your wishes come true! I’d like this day to be an opportunity for me to confess my endless love for you. You make my life like a scene out of a dream. I love you, happy birthday! When I am around you, my heart beats faster and I can’t seem to breathe properly. Every time your perfume lingers in the area, my senses run wild. When I stare into your eyes, I witness paradise. Happy birthday, I love you. You give me a reason to wake up in the morning, and a thousand more to love you after that. Happy birthday! With you, falling in love has never been better! Just looking into your eyes makes me remember all the reasons I want to spend the rest of my life with you. Happy birthday, sweetheart! For me, the definition of paradise, is just a place with you, and it turns into a war zone when you’re gone. Happy birthday my love! I realize now, that every time you are not close to me, there is a screaming pain in my heart, begging to see you again. Happy birthday, I love you. No matter how far away you are, even if you are on the other side of Earth, I’ll still be there in an instant if you need me. Because my purpose in this world is to be with you. I love you, happy birthday! I will wrap my arms around you the first chance I get. 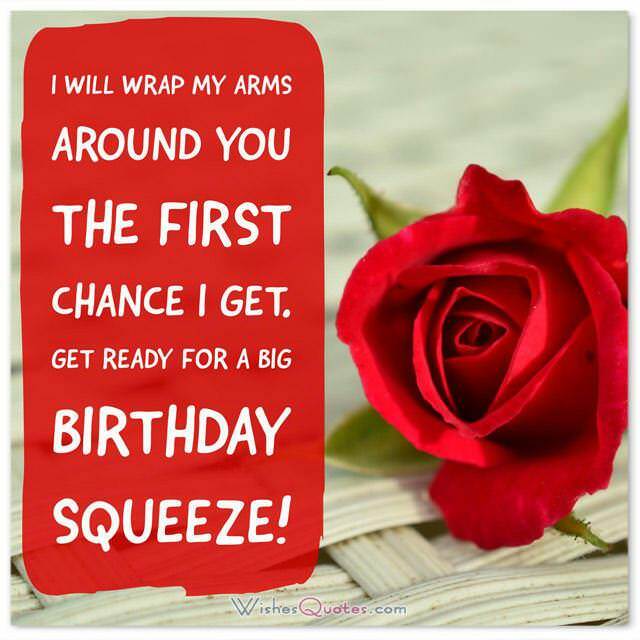 Get ready for a big birthday squeeze! Lover, you are everything to me. Let me take a piece of the universe and offer it back to you, a humble gift on your birthday. May you get all the blessings and love from all your dear ones on your birthday. Full of love you come to me, joy and harmony you bring with you, in my heart you will always be cherished, since you have chosen to love me. Having a friend, partner and a boyfriend rolled into one! How lucky can I get? You showed me what love is By loving me so dearly. Thanks for the support, care and affection you have showered me all these years that we have been together. I will always be grateful for that. I love you and happy Birthday! All I want for you is to be happy. I hope that you fulfill all your heart desire. Stay healthy and handsome Happy Birthday to the best boyfriend! May Everything Happy. And Everything Bright. Be Yours On Your Birthday. From Morning Till Night. And Then Through The Year. May The Same Thing Hold True. So That Each Day Is Filled. With Life’s Best Things For You! 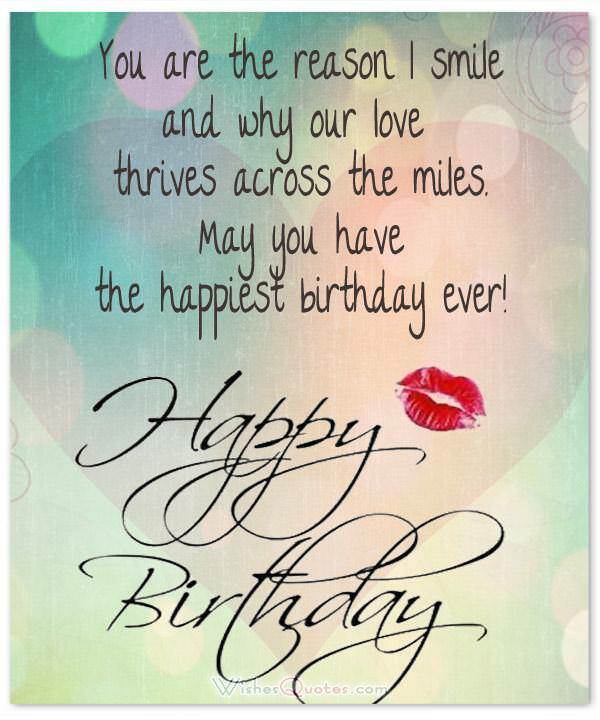 Check out our wonderful collection of genuine love birthday wishes for your boyfriend, girlfriend, husband, wife, lover and fiancée, which they will treasure forever. I love your eyes, I love the way you kiss, the fact that you are always there and the way that you love me, there are so many things that I love about you, there are no words enough in the world to express it better than I love you. If I could only have one wish I would wish for you to see how others see you, and then you will know how one of a kind and special you are.